M.E.C.’s rectangular power samplers provide an economical non-directional method for monitoring the power in a matched waveguide system. 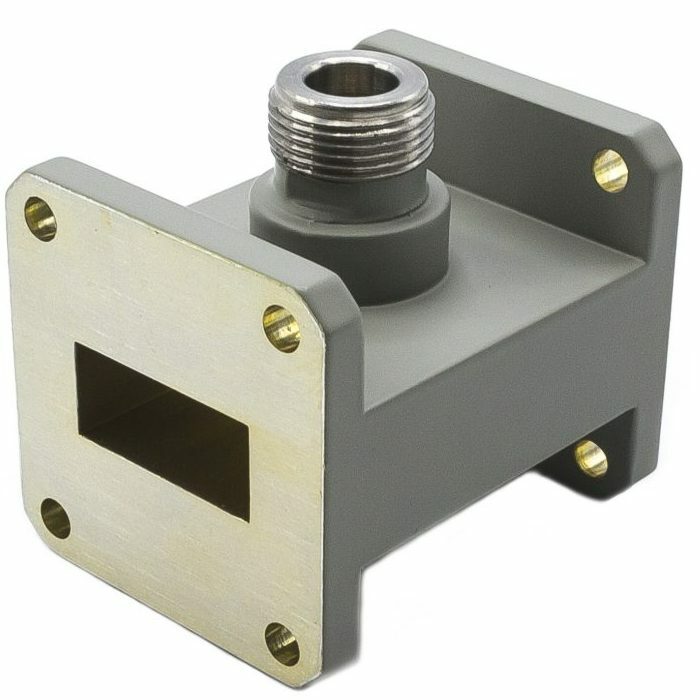 The units are available in coupling values ranging from 30 to 60 dB and have a frequency sensitivity of ± 1.0 dB maximum (± 0.5 dB typical) over the full waveguide bandwidth. The main line VSWR is 1.04:1 maximum. Sampling ports are normally supplied with type N, SMA, or 7 mm output connectors. 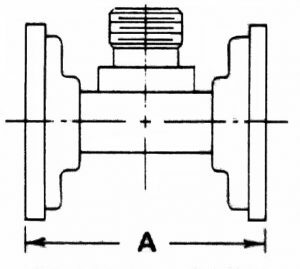 Other types and coupling levels are available upon request. 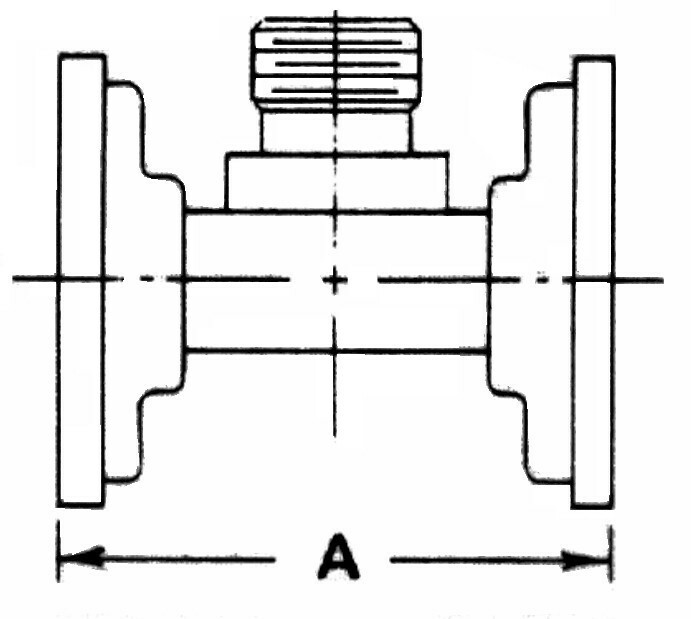 Cover flanges are provided on the main line unless otherwise specified. Assemblies have aluminum housings, are chromate conversion finished per MIL-C-5541, Class 3, and painted with gray epoxy enamel on external, non-mating surfaces. (2) Units above 7 GHz are also available in the flange sampler shown at right with tapped holes. Specify 50S. Length (A) is 0.75″ for type N and 0.55″ for SMA.